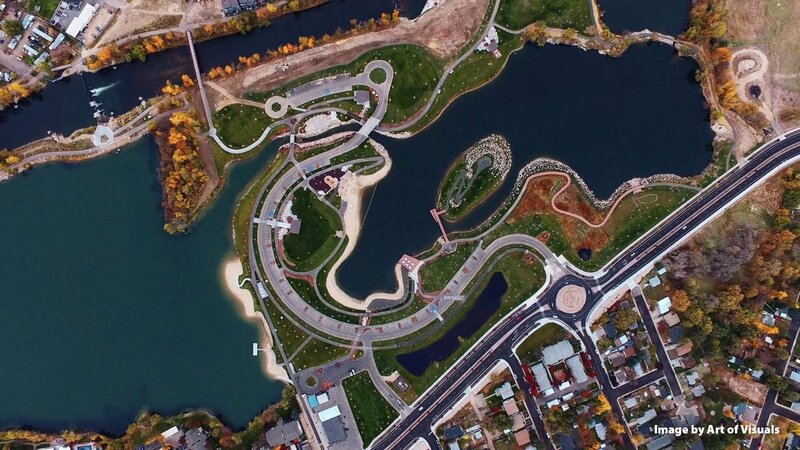 Explore Quinn’s Pond and the Boise Whitewater Park! River surfing is a new style and culture being embraced by surfers from around the world. Continuous waves are adjusted to fit the Boise River’s flow rate. The three adjustable waveshapers can be tailored for different features. Kayak ‘playboating’ and freestyle kayaking wave configurations are available weekly. The park will grow with Phase 2 for more fun for all! Boise Parks and Recreation partnerships produce high-quality educational and community programs. 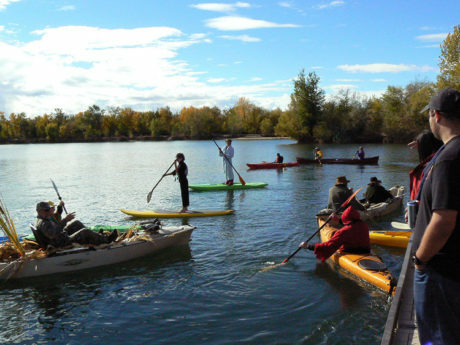 The park has already been identified as a possible site for YMCA boating classes, summer day camps and other programs operated by Boise Parks & Recreation and its partners, with the objective of putting children in touch with the natural world. 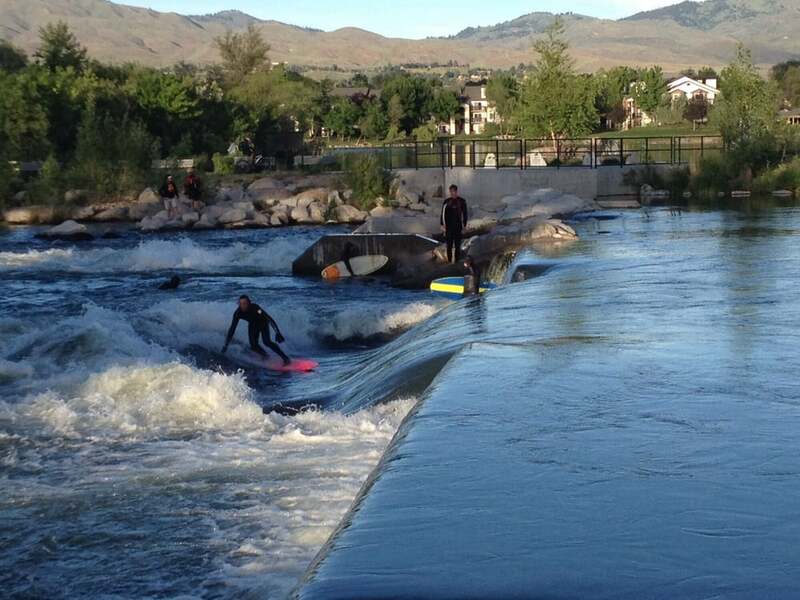 The Boise Whitewater Park also revitalizes a portion of the river that has been neglected for years. The river, adjacent to the site of a former concrete plant, was channelized in the early 1900s. The riparian area and riverbed have since been marginal for wildlife and fish habitat. The river bed and banks are littered with blocks of concrete and rebar, the cracks through which native plants and trees struggle to retain a foothold. 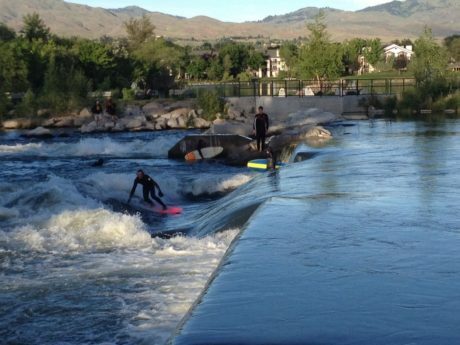 The Boise Whitewater Park and related projects are part of the City of Boise’s Parks and Recreation Department. For official information from the City of Boise please click here. Get there by bike or foot via that Greenbelt: Boise River Greenbelt Map!